East London is a popular area of the English capital, made up of Inner London boroughs Hackney, Newham and Tower Hamlets, and Outer London boroughs Barking and Dagenham, Havering, Redbridge and Waltham Forest. Property is usually very much in demand across East London due to the close proximity and easy access to the capital. At My Home Move Conveyancing we’ve been developing our knowledge local markets like this since 2001, enabling us to bring our clients in East London a specialist, fixed fee conveyancing service. If you’re considering buying or selling property in East London, you need to instruct property lawyers to complete the legal work on your behalf. 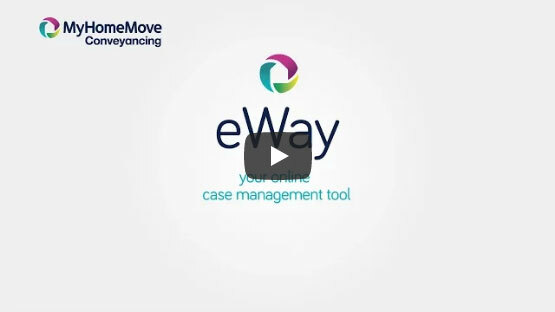 At My Home Move Conveyancing we offer award winning customer service, intimate knowledge of the local market and an innovative use of technology. Our market-leading conveyancing service is fixed fee, so you’ll know how much you’re going to pay from the beginning. There are no extra charges or hidden fees to worry about when we act as your East London conveyancers. If you don’t end up completing for some reason, you won’t have to pay us anything, giving you added peace of mind. You’ll be assigned a dedicated conveyancer who will oversee everything for you, looking after all aspects of your case from start to finish, and providing regular updates on the progress. We’re passionate about what we do at My Home Move Conveyancing, and we get things right first time round. We supply our conveyancing services in East London to homebuyers looking for properties in places such as Barking, Dalston, Romford, Stratford, Ilford and Walthamstow. The average house price in Barking and Dagenham is £287,978, while in Havering it’s £358,351 and £366,475 in Newham. In Redbridge the average is £404,765, while it’s £432,109 in Waltham Forest, £488,189 in Tower Hamlets and £546,216 in Hackney. East London is in the lower Thames valley, while the Lea, Roding and Beam all flow through the region. The East End is the historic core of modern East London, which grew when London expanded beyond its city walls in medieval times. Nowadays the region’s a hugely popular place to live thanks to its access to the capital, while there are lots of different neighbourhoods to choose between depending on your tastes. There are excellent transport links across East London, which commuters to the city can make use of for getting to work. From train stations to London Underground tube stops, it’s quick and easy to get to different parts of the capital. The M25 motorway passes to the east and the M11 to the north, providing access to the national road network, while airports such as London City Airport are useful for when you want to go on holiday. There’s a huge range of schools across East London for families with children to take into consideration, catering for all different kinds of education. If you’re looking for higher education facilities, London’s plethora of universities are on the doorstep. All properties in East London will fall within one of the following council tax bands.